Backlog Busting Project #23: Suikoden 2, Sonic Chaos, Tomba! On this Backlog Busting Project, Wes Harrington and Randy Isbelle discuss epic battles, a bit of Chaos, and a dude named Tomba. Wes covers one of the greatest Role-Playing Games of the PlayStation 1 era. Konami's Suikoden II. Is the game still as epic today, as it was back then? 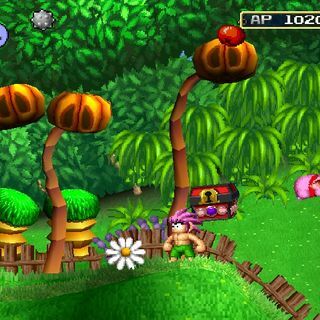 Wes also has something on the platformer that has a cult following today in Whoopee Camp's Tomba! While Randy covers one of the few games to play on the SEGA Game Gear, Sonic Chaos. Yes, he actually ... See More played it on a Game Gear. So, learn about dieing a lot. Also learn how the Game Gear is a battery sucking machine. Plus, is the game actually good?